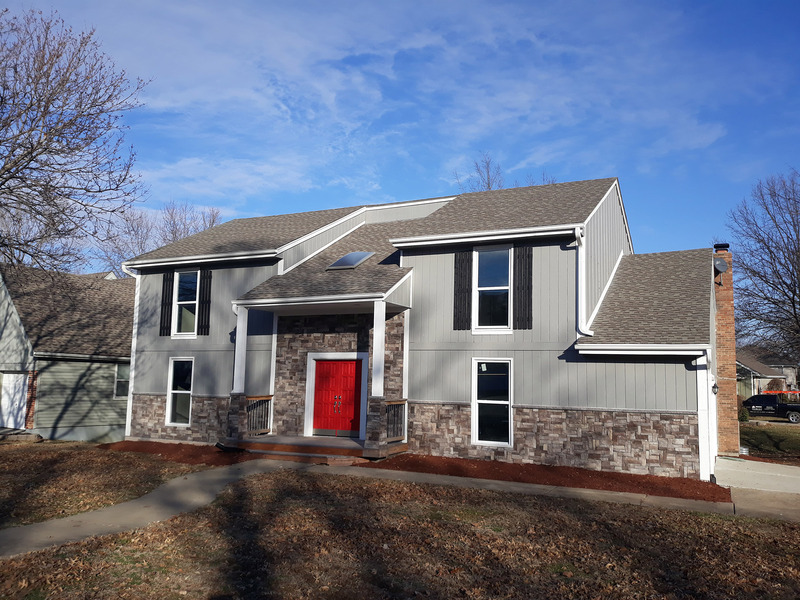 PRICE IMPROVEMENT with OPEN HOUSE in Lenexa! - Shannon Doser Group and Assoc. With a PRICE IMPROVEMENT, you won’t want to miss this Lenexa OPEN HOUSE! NEW PRICE ~ This is the One! Completely Renovated! This a completely renovated 5 bedroom, 3 full and 1 half bath home located in a quiet neighborhood on a corner lot. Enjoy fresh paint inside and out, granite counter tops, stainless steel appliances, formal dining and breakfast room, finished walk-out lower level with wet bar, a back porch built for entertaining, central heating and air, attached 2-car garage and more!